Good until 3/18/18, coupon code LNKHDPN8 gets you a free pair of headphones with purchases of $125 or more at the Florsheim online store (shoes). If you qualify for educational discounts as set forth by Apple, and you want to buy select computers or iPads from the Apple store, you can get a free set of Beats with purchase. 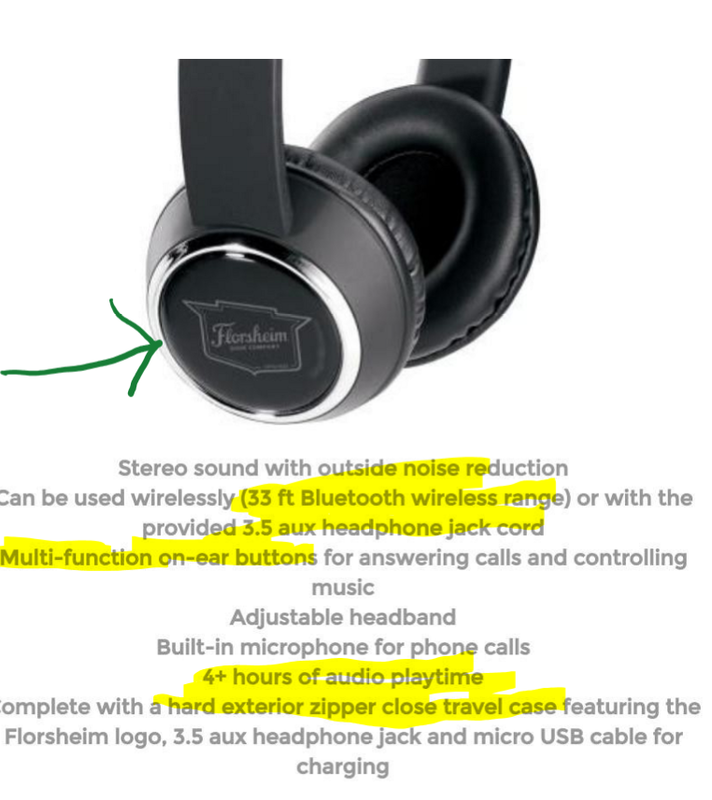 The computers (desktop, laptop) buyers get free wireless headphones (not sure which model it is, or whether it’s Solo or Studio), while the iPad buyers get Beats wireless earphones. Check their website for details on the promotion and who qualifies for the educational discounts. A promotion featured prominently on the Ultimate Ears website says that you can get the Ultimate Ears UE900S IEMs for FREE when you purchase an Ultimate Ears PRO IEMs (excluding the UE 4 PRO). 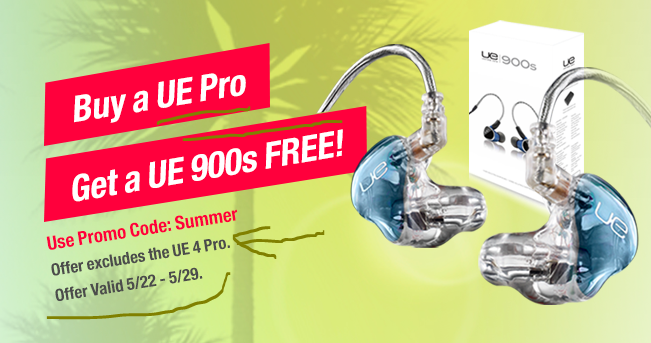 You get the UE900S for FREE by using coupon code Summer over there until 5/29/17.